Thursday was a poor day for doing much, did not feel up to going to the Panto despite a fine build up. Alison went and was really impressed with the production, the kids and the effort around it all. Just the comment that it was all Panto during the time she was away said so much. The children were so good and remembered and acted so well, met one in the evening who had four costume changes and I asked how she managed this and she told me she wore them all and gradually went through the changes by discarding the previous one, clever. A couple of photos curtesy of Catherine who was heavily involved in the make up of the Bad Fairy. The evening panned out really well with the arrival and feeding of the Russell Salmon Hatchery Christmas Do. There were one or two other customers in to make it a fairly busy night. Friday evening is the Boat Yard’s turn but I am sitting quietly here as Son No3 is out catching up at the Inn and Alison is baby sitting. Dougal and Eilidh asleep after a long day on the road culminating with a run round the Bay. The de minims saga continues with little progress, lots of cumbersome solutions imposed on a small community while the obvious solution is for CBS to decide that the funding for the Community Broadband is not creating unfair competition. Lots of conversations about it and it is all so frustrating. Good people trying to find an answer whle others seem more interested in their careers. I keep asking who are we competing against? The trip to Rona on Wednesday, if carried out by paid technicians, employed by a communications company, with profits to shareholders, would probably have cost £5,000. Not “no charge” and done by volunteers. Never managed a Billy Connelly song in a post yet. 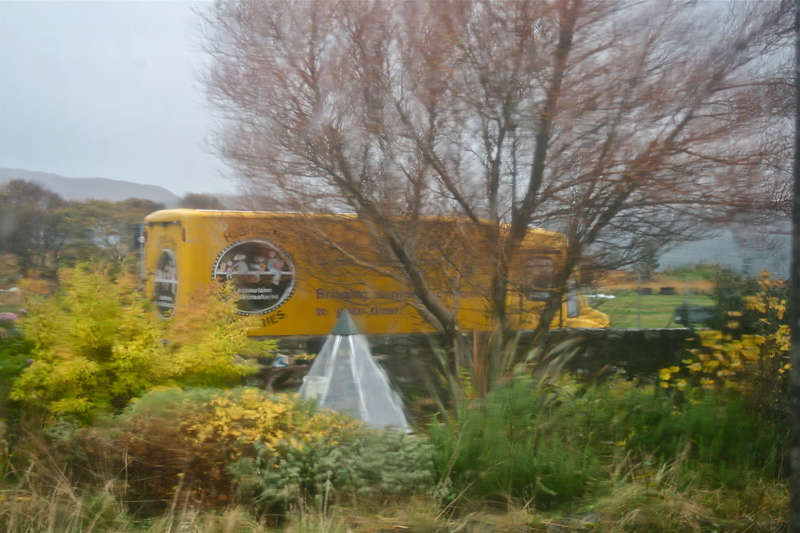 Disappointing result from Rona is the repair did not last and further thought and coming off Rona is now on the cards. We are still able to say we are going through the teething issues to work out the problems and this is time consuming enough without this de minims rubbish hanging over us. Also we have Ian, Simon still involved and Bill on Rona going up to see what the problems are as well. May be that Rona is too remote or the equipment is not robust enough. We will get there although it is stressful knowing that people have signed up to AppleNet to get a better than BT service but good to be reminded that BT took ten days to sort out their break last month. And as far as I am concerned the volunteering is not done under duress, still fulfilling. I think the answer to our de minims problems would be for the people working in the Agencies taking these daft decisions should live in the remote communities for a couple of years and then these decisions may well take a different shape. 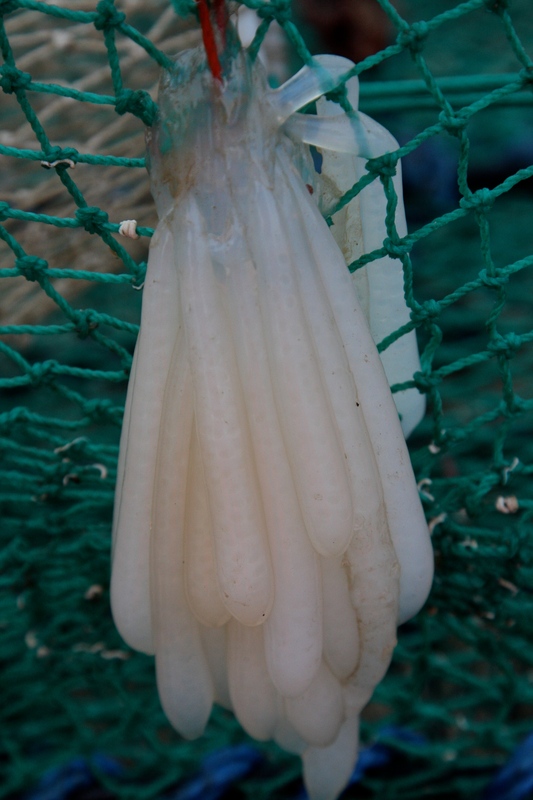 Despite all these wee hiccups one still comes across the positive, on Thursday evening one of the Fish Farmers was wanting info, might even have been a result of a bet. Assumed he would have to wait but Judith said just to go on line, he was surprised, then said it would take an age, Judith asked for the info he wanted and half a minute later he had it. She told him it was our Community Broadband and the response was “It would be over here”. A nice back handed west coast compliment. Shop visit to post a couple of calendars and it was full on party with half the community there. Had to phone home as forgot the list and arranged for it to be left at the gate by Francis on her way home as I wanted to go up the road with the light between the showers looking good. with Dougal and Eilidh racing about. 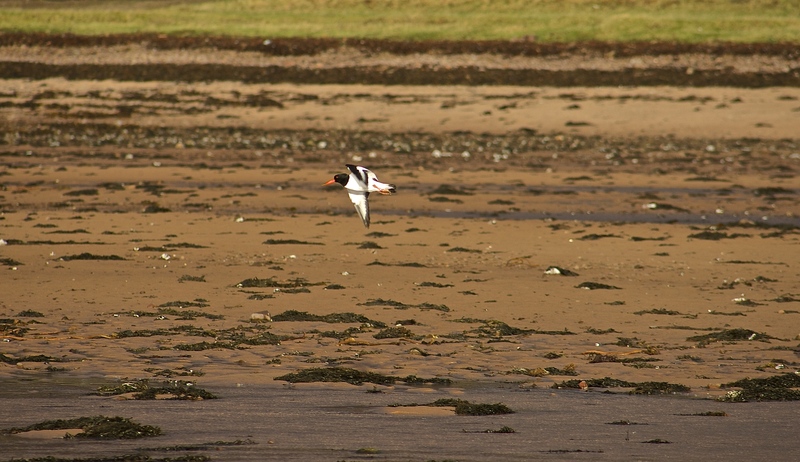 as well as all the gulls made for a pleasant walk. Windy but added to the day. Heavy showers on the way home and managed to get back before the big one. Two Days at Sea, finishing with a Rant. with the snow caps surrounding the Sound. The sunlit morning did not last much into the afternoon and with a breeze and clouding over it became bitterly cold. Must change a fuel filter before going fishing again, few revs up on the way out. Settled down or the rest of the day so job for the bad weather.You always know what season you are in seeing what is coming up in the creels and with me not being out much the squid have been laying on the ropes and creels. When I finally made it home cold, very cold there was a message suggesting a trip back out to Rona to fix the turbine again. 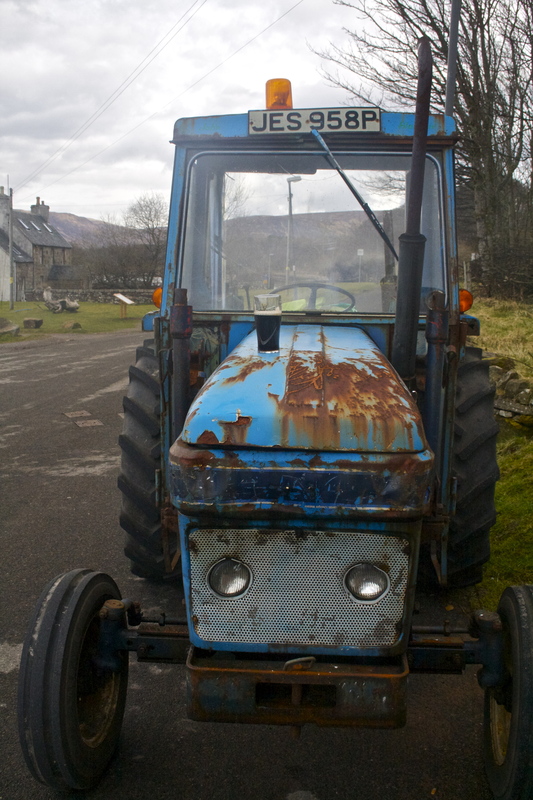 This time it had seized solid and coupled with lightning damage on Arnish the North Coast Broadband is down again. Parts to be ordered for Arnish and Sean will be heading out there once they come through. Complicated and still regarded as teething problems I suppose. Not good for the North coast people but we will get there. 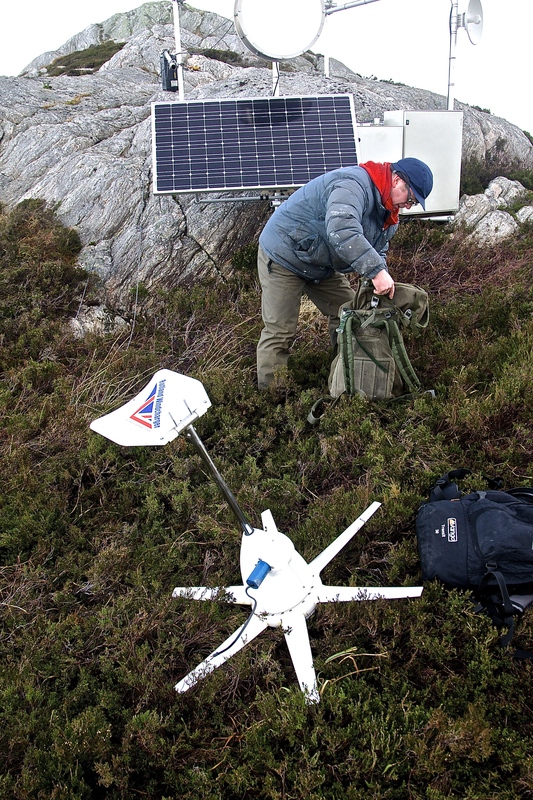 with which I headed off down the Hill to the Varuna,leaving Sean to do the technicals to replace and reconnect. I made it down in time, moved off and came back on the outside of the Aspire. 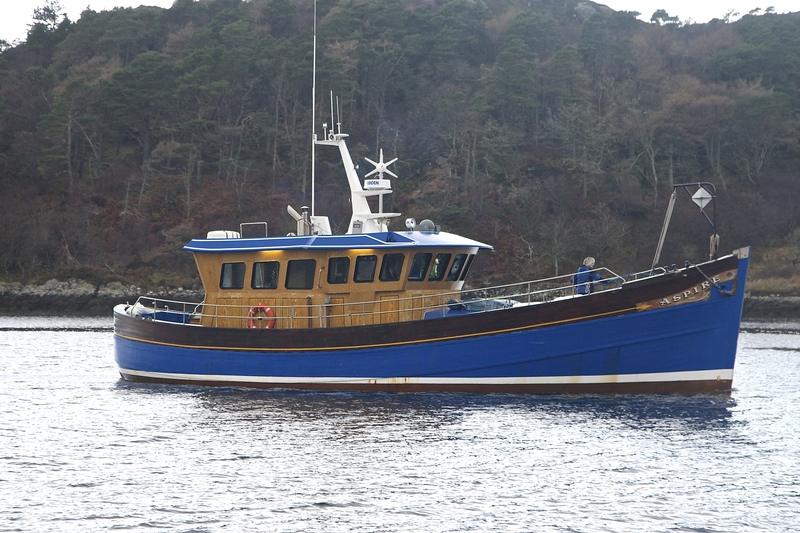 She was a scallop dredger working from Islay for twenty years before heading down to Whitby for a refurbishment and is now the ferry to Rona from Portree. Beautiful ship and was very delicate in coming alongside her. Unloaded and gave a wee hand shifting tanks strainers and the odd box about while Sean was up doing his connecting thing. 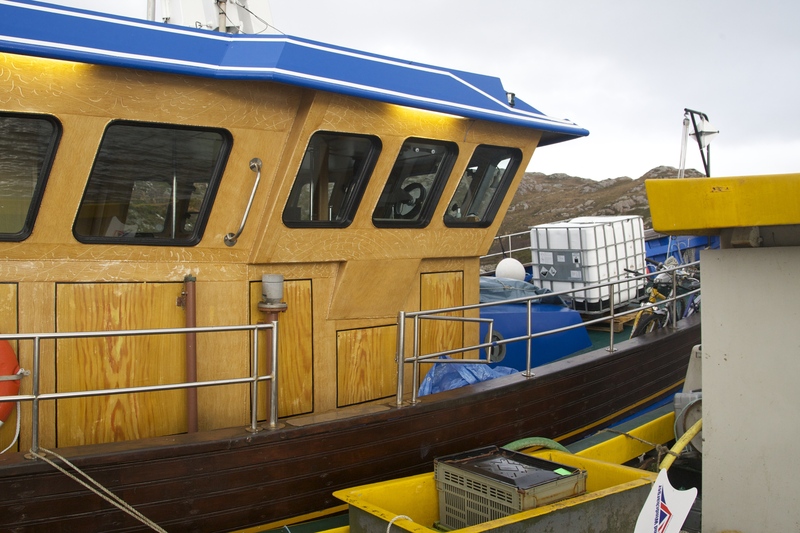 The staining on the wheelhouse reminded me of my Dad who stained many a fishing boat when they came up for their annual at the Yard in Kyle. The Aspire made off back to Portree and the Varuna to Applecross, not before talking possible solutions to our Broadband Systems for the North. 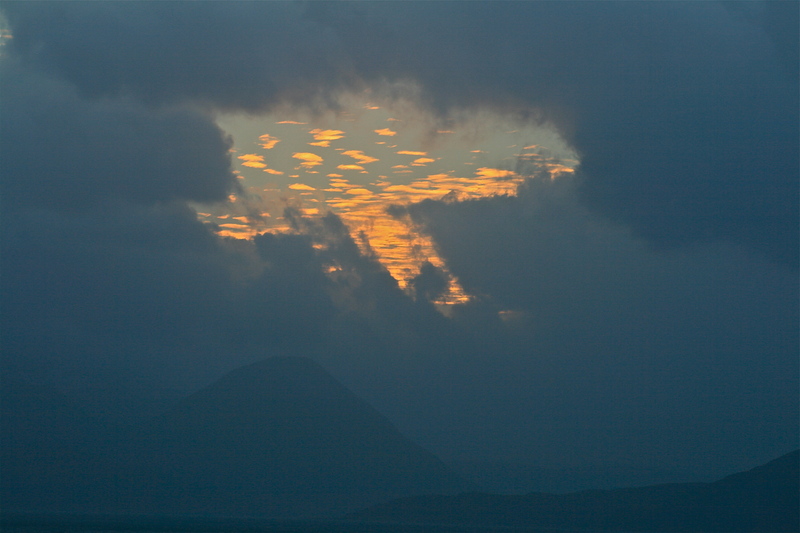 Coming out of the Blind Sound we were treated to a light show over Raasay. Do not often see Dun Can from this angle and not in this lighting. Seeing we are on the Community today the dreaded de minimus is rearing its head again. Firstly as I get ready for a rant against one and all there is no personal getting at anyone but this situation we are in is crazy and people who have far more positive things to do are trying to work out ways for us to proceed. All the founders, agencies and consultancies are in place to help people and communities who are prepared to help themselves but need a bit of seed corn to set up services that either big business decide it is not worth their coin to help or through public funding cuts. So why and who makes it so difficult for us to comply with all the rules and regulations. I understand the need for the above to prevent the abuse the some organisations carry out to get their hands on public money, usual those that are already rich enough not to need grant funding but do not move without it. In our case at the moment we are battling to get money released to progress the Hydro Private Wire, again only as a result of being sold a “package” which was not as it seemed. 90kw seems is not 90kw when it is sold as a connection to the Grid. This latest grant/loan wil take us over our 200,000 euros limit, and just for three months at that. Of course most of that is our broadband grant which we were only told was de minimus when we were awarded it and the rule has changed on this but not for us as there is no retrospective ruling. So communities who apply for the same grant as we got do not have this ruling imposed on them but we do……no wonder we are cheesed off, language modified. And how on earth are we distorting completion by providing a service where no one else will. Where is the competition? Now we have the best of people trying to give us advice on how to proceed, quite frankly I would argue that if any one came for their grant back I would first of all say that it wasn’t in breach of any rule and if they insisted then close us down and then see what happens. Surely we should be encouraged in what we are trying to achieve not have these daft obstructions put in our way to make our lives even harder. Bearing in mind that Sean and I were over on Rona earlier today getting the first stage of the broadband up and running again we really do not need this unnecessary stuff to deal with. Local Developement Officers should be spending their time on more constructive matters rather than trying to work out ways are these man made obstacles. One solution offered is to set up yet another community company and when the time period expires hand it over to the original Company. Again low numbers of population and even lower numbers for directors so why make it harder? Rant over and no one even spotted I was ranting as I between rants I be been serving customers for the last 2 1/2 hours. Went off to Strathcarron Monday morning to catch up with the Strome Bypass saga. Was late due to the weather, kept pulling over and watching the ever changing rays coming through the clouds. It was fairly interesting although things began to wilt by lunchtime. It was universal and I was quite surprised at that as there were many professional meeting goers there. There is a long and fairly tedious process that the Highland Council have to go through if they go on to seek funding from some other source. they have to go through all possible options and put them up against agreed objectives and whittle them down to options that will be costed and then built…..maybe. During the meeting I could not help recalling a conversation with Morris over the weekend when he mentioned he was in the Faroes and said the infra structure even there was vastly superior to ours and when I was in Norway up in the Lofotens, they built bridges to communities that were smaller than Broadford. Also in Lombardy where we went through tunnels in very sparsely populated mountainsides. For a rich little country we do not do the infra structure very well. I do like the option over the Strome Narrows, but I hasten to add I do not live there or the detail has not been set down on paper yet. 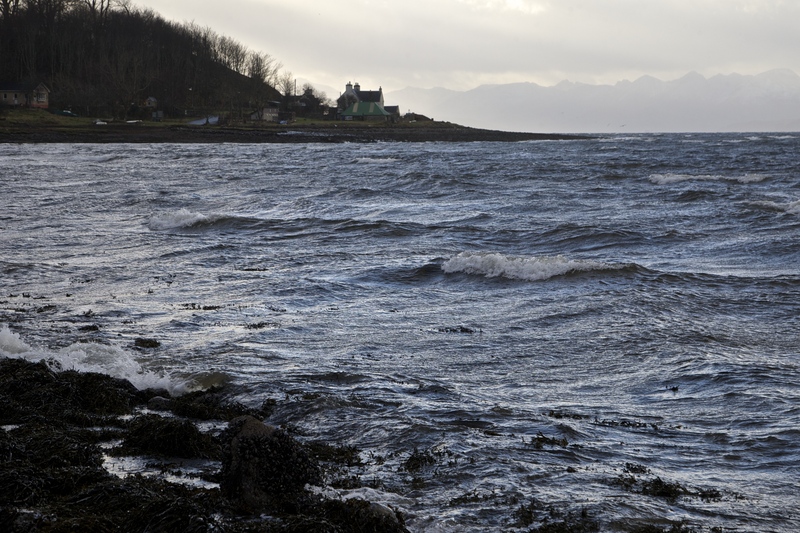 For Applecross it is the best option and the west would be so much closer, at least until we start going by sea again. The journey over the Hill took far longer than normal as I had to stop taking a wee photo round the next corner. Although windy, the light was playing its usual tricks. 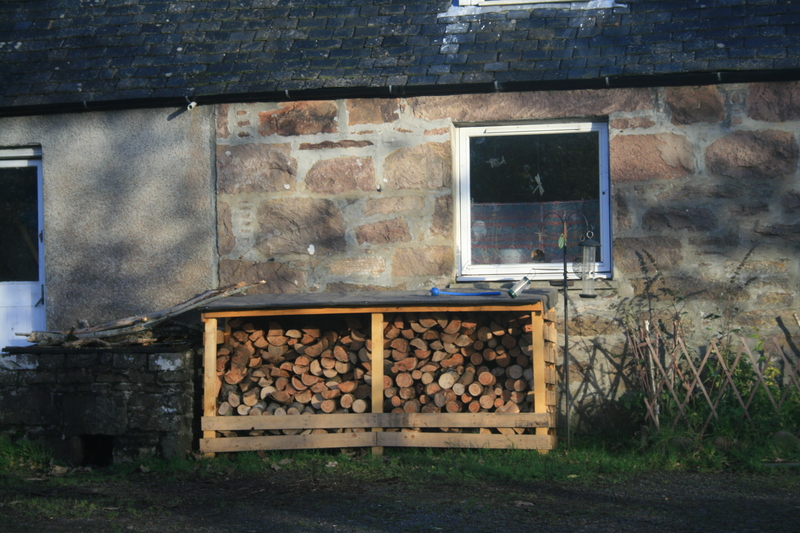 On the way past noticed a new wood store at the Smithy…definite signs things are changing here, using more of our natural resources, not in quite the same scale as Lombardy but getting there. 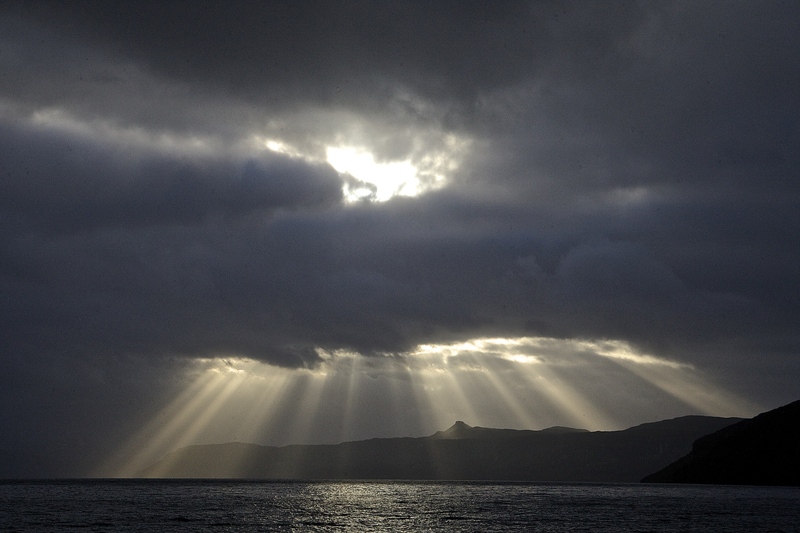 Yesterday, another dark day with bright spells between the squalls. Lightened up the day with a look at the Celtic Connections line up and probably will go down on two consecutive weekends as some of the music is ace. Also discovered that Lesley Riddoch is speaking at the Ceilidh Place in Ullapool and it will be up there on Friday, albeit after an IFG meeting in Inverness. So Dougal and Co will be well-travelled that day as Alison is off down to Arisaig and Jill and Kenny will be in Dumfries. 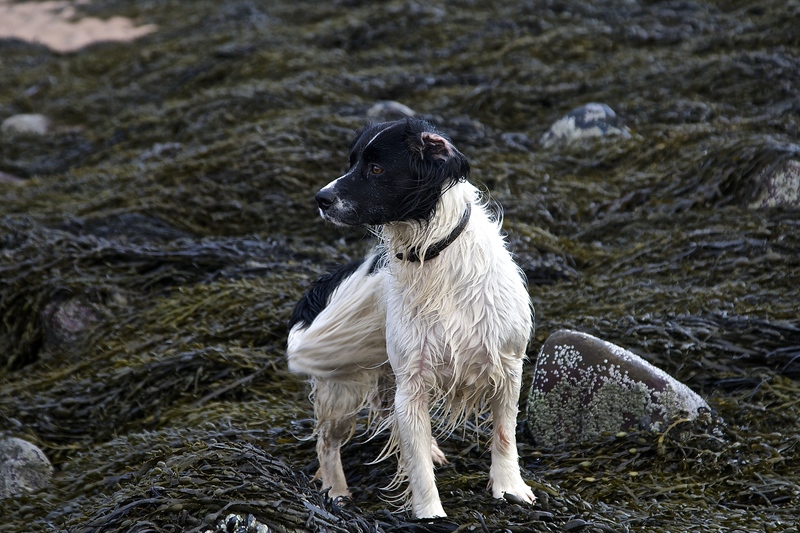 Dougal takes his family to Inverness and Ullapool could be a post on its own. With the miserable weather on the go and purely coincidentally I thought the Highland cattle next door were not looking their happiest, knee-deep in glaur. Sure enough in one of my frequent trips out the gate to get another barrow load of chopped wood there were two out on the road. 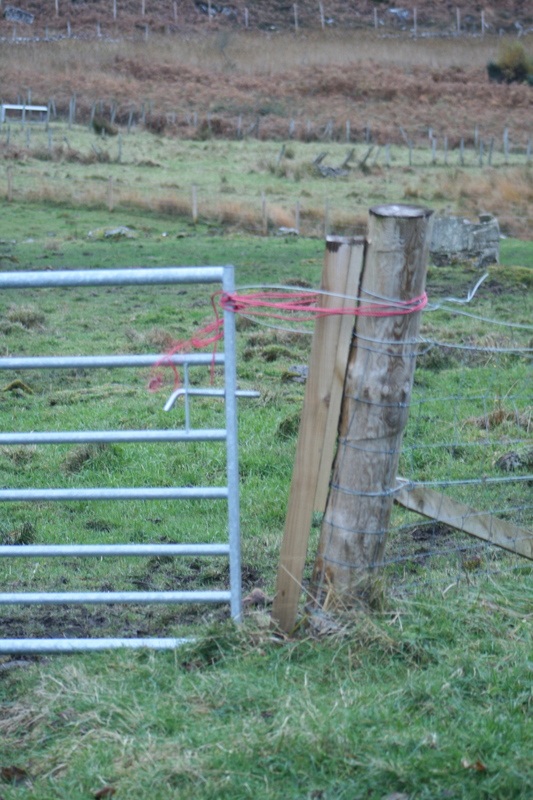 They had pushed over a strainer and got out through the gate. Clever beasts and to be frank the two of the four that were out on the road looked well up for a jaunt. 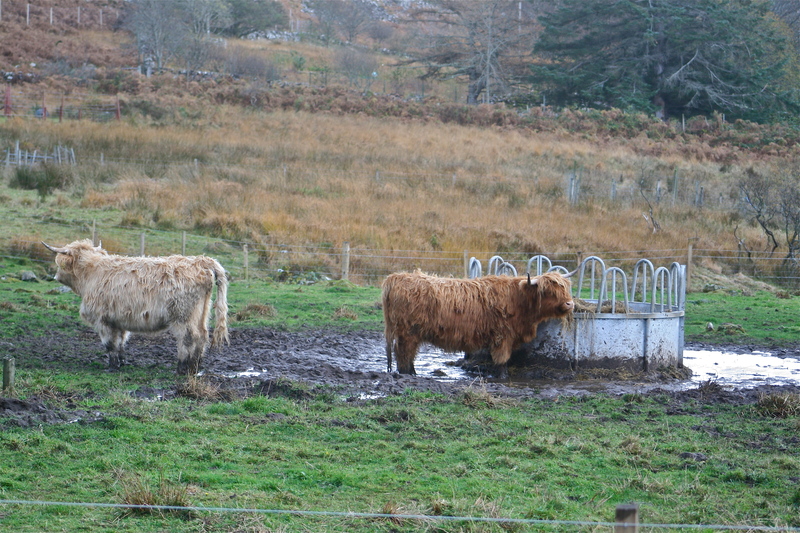 Felt a little sorry for them putting them back into the “field” although they are Highland cattle and they may used to it. 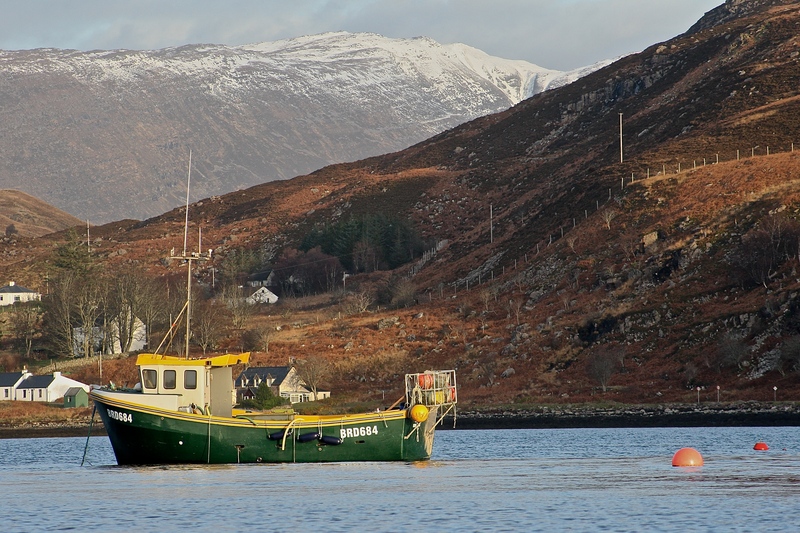 Hard enough being a fisherman….crofter/fisherman looking out the window just now, a step too far for me. In many ways it shows the slow break down in the crofting system where it is now individuals becoming small holders rather than townships coming together on several occasions throughout the year to help the township in shared tasks. There was never a golden age but I do remember back in the 60s/70s the fank gatherings were, although hard work, happy community gatherings where genuine laughter was heard. 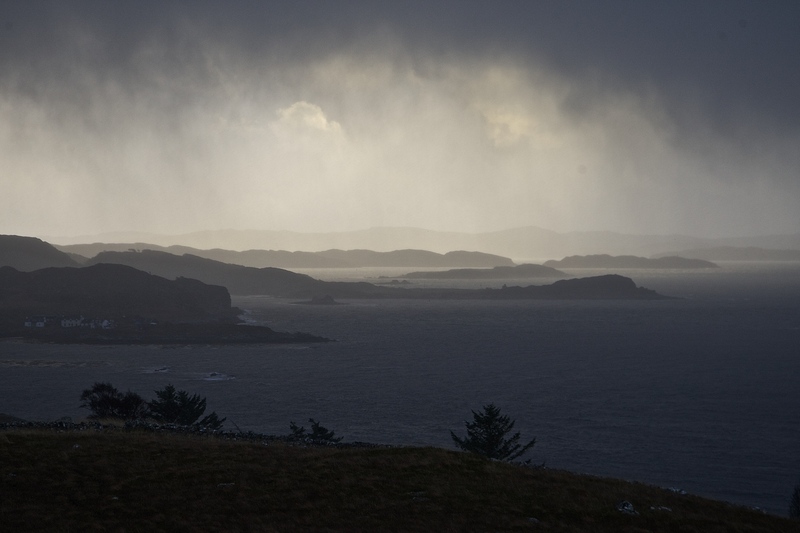 Last night it was a quiet Community Council meeting, a little gloomy again, started with a no crime in the area report but notice that there are plans to close Lochcarron, Kyle and Dunvegan police stations. Maybe get the crime report more active. With a brief chat about the pier, establishing as the CC guy on the ALPS Management Group that opinions are far too diverse in the community to offer any cohesive advice to the best solution. Sounds like a cop-out. Then on to a strangish discussion about an issue that has been rumbling on in the community for over a year, our community bus is off the road, easy to get it back on the road in a technical sense but is turning out to be very difficult to achieve. Another letter and prospect of another meeting and hopefully……. It is approaching the end game with several people trying all sorts of ways to resolve the problem. It is not really a conflict but more a brick wall. Frustrating in the extreme and very hard to write about it. Another very relevant local problem that has reared its head is di minimis totals that the community companies have to deal with. What this means basically is this is a method to prevent State Aid distorting the competitive markets. 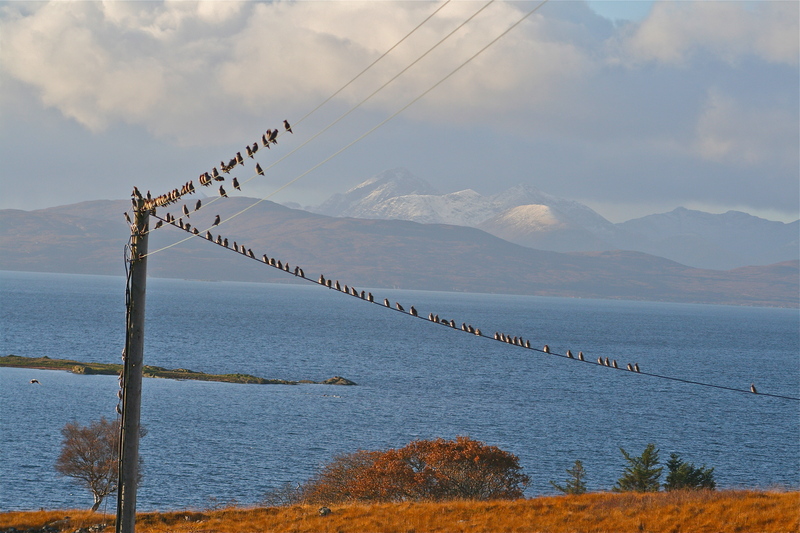 We came across it when receiving funding for from CBS to set up the community broadband network in Applecross. Who in their wisdom decided we were in competition with is beyond us. It is not as though BT are going to supply us with anything more than the half meg we have already. It does seem just an easy option for those to say that it is di minimis rather than sit down and work out the actualities. Read a cracking email from this morning that puts the problem really well. It detailed a local supply that barely goes outside the immediate area and the funding could be declared di minimis due to another company doing the same trade in another country with no intention of supplying this locality.What we seem to be missing at the moment are people in positions who are looking at rural problems and actively finding positive ways around those issues that arise due to unintended consequences. The problem with di minimis is there is a cap of 200,000 euros which lasts over three years and that can and is a severe restriction on some communities development while in no way affecting any competition rules in the outside world. Interestingly public funding for a nuclear power plant can find its way around this while it looks as though our anchor community organisations may be caught up in it. How silly is that, How on earth, by helping our communities, do we impinge on the competitive world. and a group phone call/skype from the guys running the Travelling Tales project. On the bike in a very wet gale to the Inn later for the evening shift. Even Dougal is not greatly keen on a day like this. So now minute writing and a vitamin D capsule should see me through to work. 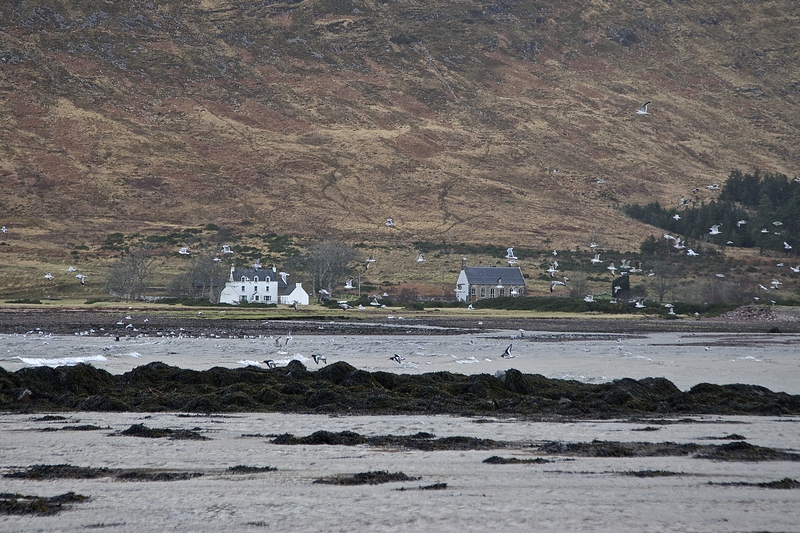 We have a new game in Applecross for St Patrick’s Day and its called Where’s Baxter? It is very simple and you have two clues. 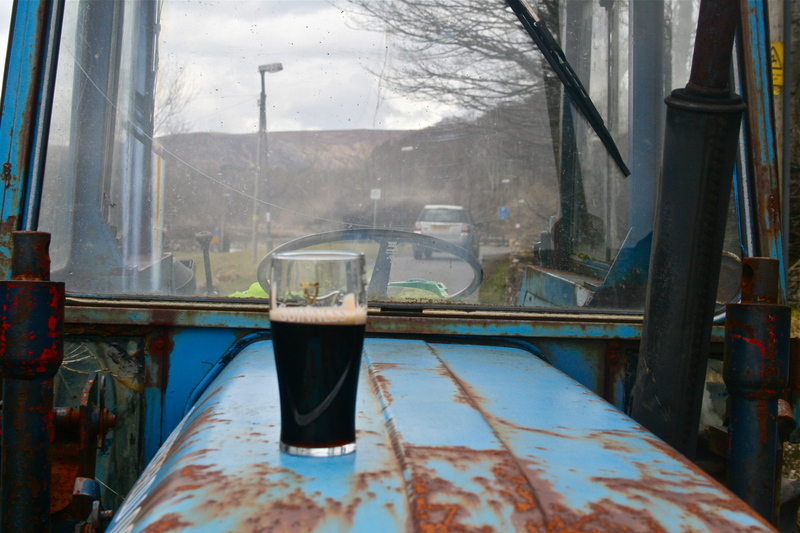 The first is find his tractor and the second narrows it down if you find a pint of guinness on the bonnet. This means that he is very close. On this occasion he was having a rolly at the Inn staff smoking station just round the corner from his tractor and pint. It should also be noted that no drink/driving took place during this post. An Applecross New Year of Food,Dance and Music. A very busy two days at the Inn. We knew it was going to happen on sunday as there were around 40 odd booked for lunch which included a 20 from Kinlochewe. This is generally ok but on top of that you have the busy last sunday lunch customers of the year and it was full on till evening but also really enjoyable. I probably say it time and time again but I get such a buzz from working at the Inn, just meeting people from all walks of life, sharing a half hour of their lives and telling them what happens here. It was a little fraught in the kitchen with cheffie not too well and a late night was had by other staff. Customers did not have a clue about the stresses behind the scenes as the food was fantastic and the compliments passed back eased the pain a little. Yesterday began with a trip to the Varuna, checking everything over and picking up the last of the prawns for the Inn and a wee delivery to Toscaig. Back for another full shift and it was so satisfying. If you work 3 or 4 days you get to know several of the families who are renting the houses. The Belgians staying round the coast, the Perthshire family in Clachan, a surprise visit from my southern cousin who was staying at the Torridon Hotel. After a couple of false excitements I had Mauritius confirmed in the evening to bring our total of countries who visited the Inn over the year to 76. The sort of embarrassing bit is, yes, I guessed 76. Mixed emotions of competitive Dad and “setup” but it has been great fun finding out where people are from and seeing how they enjoy being the first Cuban or Armenian to visit Applecross. Yesterday evening summed up why I work there. As it was a little slow to start you have more time to chat to the folk that came in earlier and ended up in a deep discussion about The Independence question with a couple from Lancashire. I find I am formulating my opinions talking to a lot of different people with a wide variety of views. Picking up ideas and slightly different ways of dealing with solutions to problems and also sharing these problems is a good way to go forward. I do n’t think I am Nationalist but feel more and more strongly that people living in their communities should be the ones taking the decisions that affect their communities. I have yet to hear a convincing argument that says otherwise. Later in the evening as it kicked off again, serving fillet steaks, halibut steaks,langoustine and scallops we had a 10-year-old set up his pipes and play us a couple of tunes, a wee bit shy, so played in the dining room, but if he keeps up he is going to be noticed. I told him after, that being Scottish, playing the pipes like he did and if he wears a kilt, he’s set for the world. Only at the Inn would you have a First Nation’s Choctaw dining at the next table and a dog called Sorley singing along to the pipes. After the food and a quick clear up it was off down to the Hall. Always get a little nervous as you have to get the time right for people to go outside for the count down and the fireworks. Pleasant evening with a bit of live music early on with Sean and Emily and then on to the playlists of Scottish dance and dance. Choctaw and the kilt looked well together on the dance floor, half two finish so felt reasonably fresh today. Very low-key day with a 5 mile walk for Dougal and family,a gravy run to the Inn for tonight’s venison roast and a call in for some home-grown pork curry and chips at Milton. Feels just a little flat today and it’s probably because of some fb messaging which means I am heading to Inverness this friday. Third time in about 4 months. Reflections on an “interesting ” year will have to wait but all that remains is to wish every one a year where your dreams and happiness come true and to thank you for the 33,000+ views last year. Contentment is my wish for all as that does not depend on taking anything from anyone else. 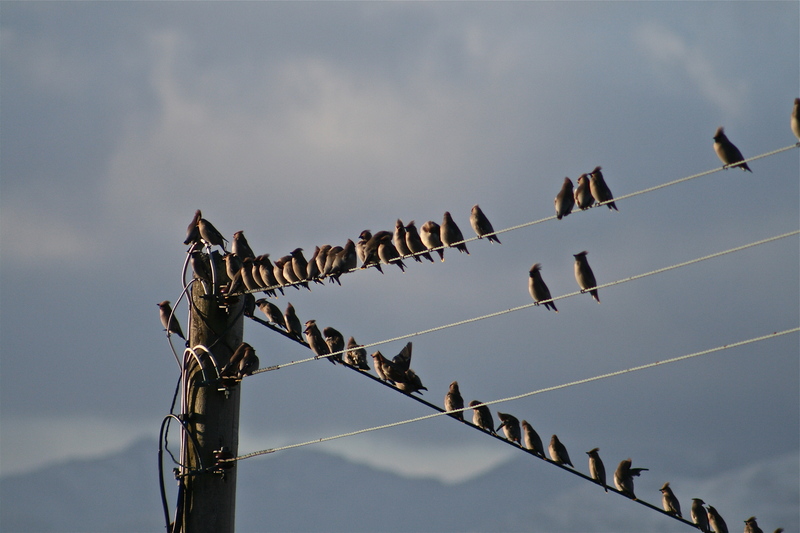 Local Development Officers,Deep Peace and Waxwings. Two parter. Have to stop and watch the rugby soon so this will not be finished until after the shift at the Inn this evening. Watching the pre match warm up to see if I can spot my youngest red-headed son playing the pipes on the pitch before the game starts and then watch the game through spread fingers. Have to say I really enjoyed last weeks game against the All Blacks. Expecting a big defeat but instead saw Scotland score three tries enjoyed a great game of class rugby. So the fire is on, the washing done and drying in front of it,lunch made and eaten Dougal and family walked and fed with only some book work to do before the end of the day which can be classed as work. Must get into this twitter lark. It does seem to be good craic. As I do not usually lose it but also have a sense of humour, warped maybe but it is there, it could be good for a bit of a wind up for those who tend to take themselves a tiny bit too seriously. So it will be a busy couple of days. Yesterday Alison and I went to Inverness to attend a two-day gathering at the Drumossie Hotel held by HIE for directors and local development officers. I suppose I was being a political activist but it felt good and we chatted all day about the problems in fragile communities and went to presentations from other communities and heard about their successes and failures, which is just as important. No one accepts what you say without you having to argue and justify your views and it is really good for the brain cells these gatherings. More directors should go to these meetings as they constantly broaden your mind. Although there is a natural tendency at these get togethers of the opinion that the communities themselves are the ones that should be having a say in the running of the community you still have to argue your case well as you are often presented with the what if point of view. 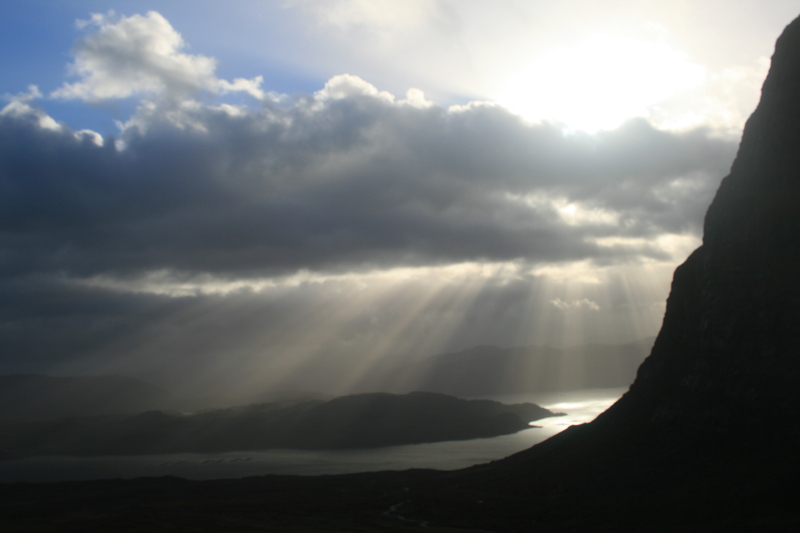 The editorial in the WHFP this week pointed out the geographic control that Wester Ross suffers under but I honestly believe that the Community Company has done some amazing work in the last couple of years. The reason I say that is when I go out and see the reactions from other people about what we are doing I see that we are looked at with a positive envy. Seems there was a short article in the Times about the situation here and seemed fairly uncontroversial, by that I mean no one living in the schoolhouse was in it. Saturday at Drumossie involved the problem rural areas have with housing and there seemed to be many and is earmarked as a problem in many of the draft plans so far submitted. Many of the plans have increases in current populations as an objective. This from Dominion of Dreams under a Dark Star, hearing the lovely description of Jenny as “a pattern of Light”, giving Mike a hug there is nothing more to say but reflect that it has not been a year of joy for many people I know. Kishorn shop was always a quiet and peaceful place to stop at on the way home. Back to the hotel to learn more and talk more, not forgetting the meal in the evening where it turns out that I may have found a relative from Lewis sitting across from me. Her dad came from Arrina on the north coast and was a Macbeath as was my granny from Fearnmor alongside many connections to the situation back home. We will be moving on now and I think a few people are a little weary of all the attention and want to get back to living. Home late and left Alison to stay for the next day’s seminars. I’ll be asking who John and Christine Macbeath are the next time I see the man from Camusterrach. Busy couple of shifts at the Inn both last night and all day today although it had quietened off by 3.30pm this afternoon there were customers waiting for tables. The staff levels were pretty sparse due to the concert in Edinburgh and it was left to the Boss and I to man the pumps. good craic as usual and too busy to watch the clock, a good problem in november. And lots of positive conversations with residents about the Company work and people planning to go to the AGM to support the work we are doing. Although we will never stop the rumour mill going we may be able to scorch one or two of them, but they do make life more interesting for some. 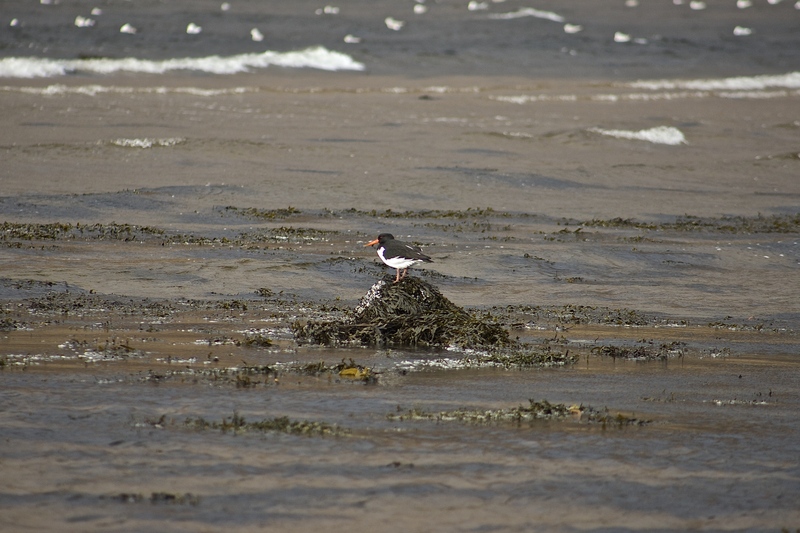 Birds every where just now. We have been inundated with waxwings and they are chomping their way through the rowan berries of which there are plenty. 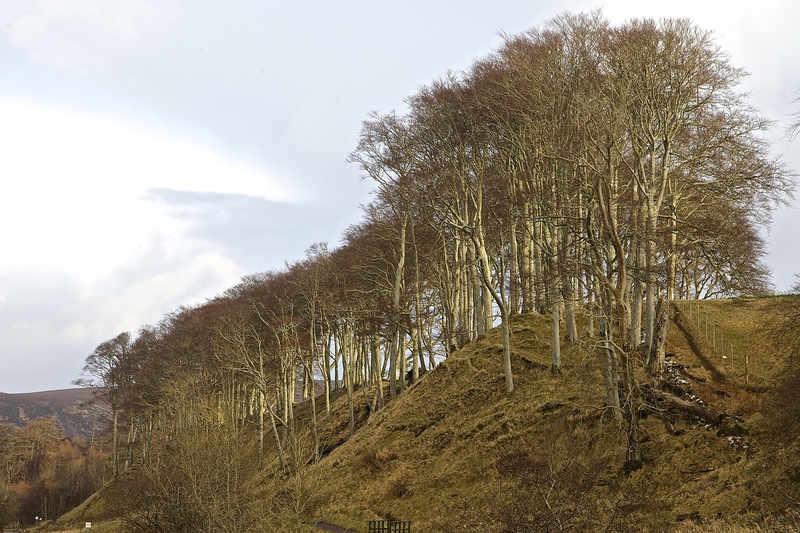 Took these photos at the Church at the top of Camusterrach this morning and as I was leaving the house there were about 100 flying back and fro to the trees in the garden and to the south. Including the tree below the wires there were another 150+ around this area. Seems a bad season further east and it has been an unusual year for such high numbers here. And at the Inn as I was heading to the store for a lemon for the bar I was just too late for a great photo opp but managed a couple that were ok of four swans heading down the bay towards their favourite spot on Milton loch. The competition has reached 75 with Iraq arriving last night. Three articles in the WHFP this week caught the eye and go to the very crux of the current debate on the survival of rural communities. 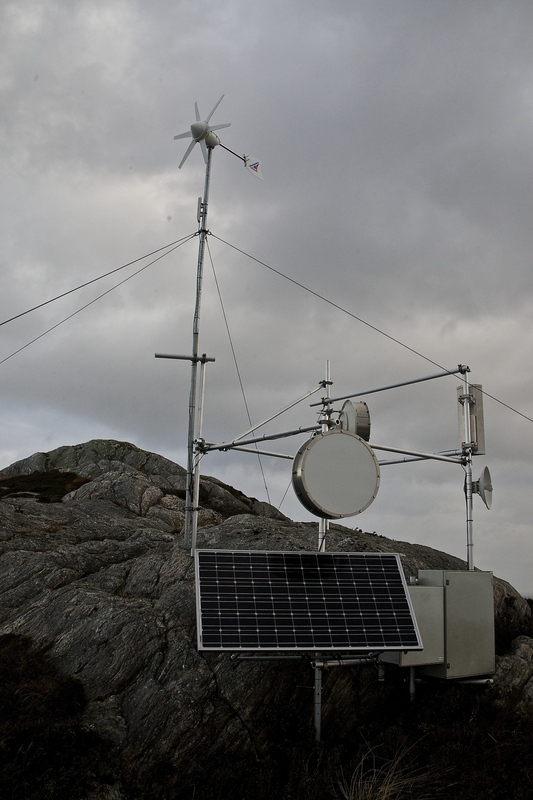 The first being the West Harris Trust erecting a 5 kilowatt turbine to supply their school with electricity and excess to the grid. This is action on the ground taken with the hope that they not only can save their school but turn round the decline of the school roll. They are down to 6. The Trust have a target of increasing their population by 50% partly by providing affordable housing and the retention of the school is an integral part of this laudable ambition. We then move on to Scalpay, Harris where they are discussing whether to go ahead with a community buyout. This has come out of the blue and they have not suffered from a bad landlord, but they have lived through a generation of decline, both economically and socially. I found some of the stats staggering like the absence of pre school children, primary school already closed. This is on an island which had a population of 600 post WWII declining to approximately 300 now. 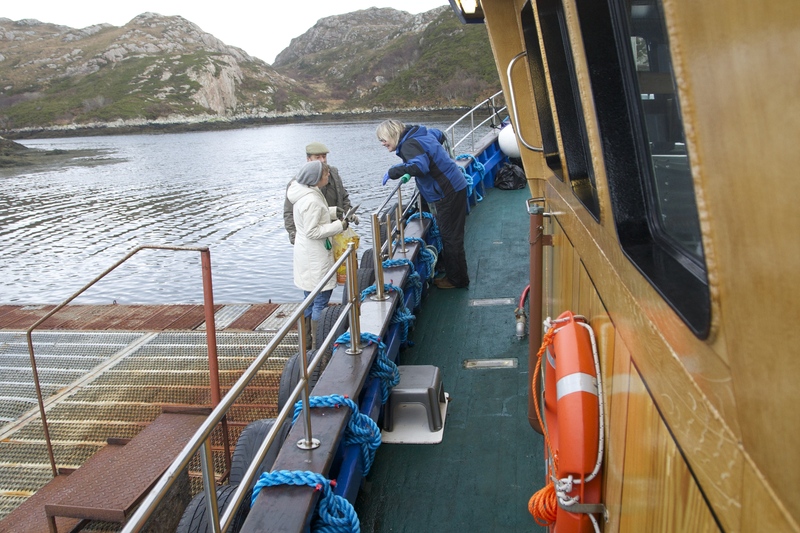 Fishing industry devastated and the bridge built to the “mainland” of Harris along with increased education and communication opportunities seem to have all contributed to this decline. A further list too long to repeat is quite startling but also the comments from a resident, Donald Macdonald, who stated that if people had not come into the island to live the situation would be even worse. One of the possibilities is they go into partnership with the North Harris Trust which has a completely different set of figures from Scalpay since 2003 when they took over the community. The article finishes on a positive note saying that the possible buy-out is giving a boost to people to start doing things for themselves. They did in the past but have suffered from a generational “brain drain” which has diminished this in recent times. 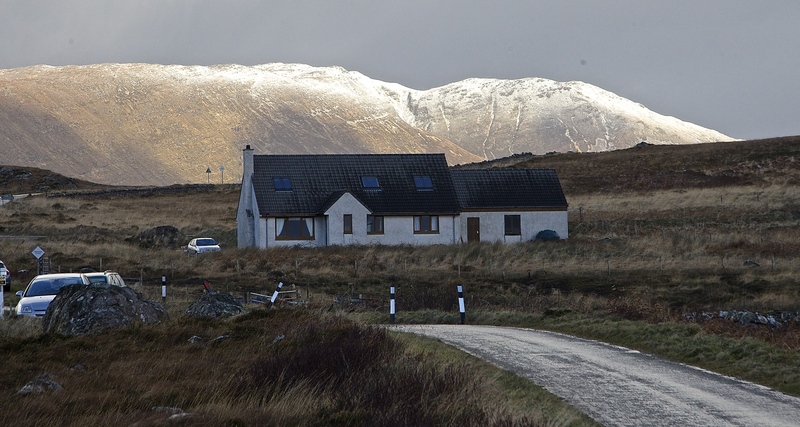 The third story that caught the eye was the future funding of the Comhairle nan Eilean Sar, The Western Isles Council, which is facing larger than average spending cuts as they are based on population figures. They are expecting a cut of 6% over two years but at the same time are experiencing larger costs because of an ageing profile in the community. Although it was a party political article the facts remained the same and , to be honest I was less interested in who was to blame than the fact that it was taking place.In the same vein I saw a fb post urging people to buy local,from the neighbour who makes jewellery or crafts,local food from the croft or veg from some one’s plot, home baking and not to send the dosh outside the community to some faceless multi national that only exists to make more money from you than the last time they did. Money kept circulating locally is worth far more than that which is earned and disappears into anonymous coffers. More and more people are getting interested in looking after their own, not at the expense of any one else but alongside each other. It was with this in mind as I headed of to work at the Inn, expecting a routine that is to say quiet evening. Quick look round the bar and the bookings for the evening dispelled that notion. It still never ceases to amaze me about this place. At one stage we had 14 customers waiting for seats, admittedly almost every one wanted to eat in the bar and not the small dinning room. But still, a thursday evening in November with very inclement weather outside….. 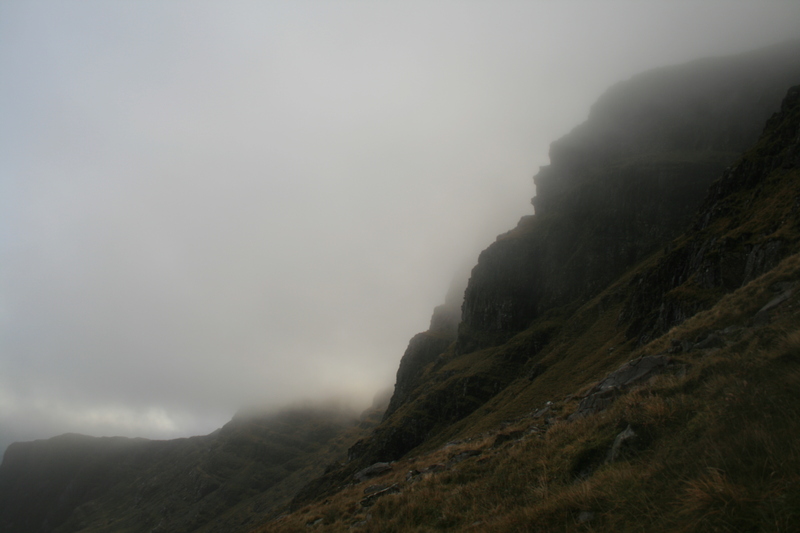 The Hill was almost impassable and we had to advise the family heading back to Onich to go back round the coast as the Hill was treacherous. With everyone fed and watered I got into a discussion about what is happening here and the future of the community. Lots of little snippets of gossip to keep the conversation going but the theme was the same and I mentioned some of the above and the way some people misrepresent what you say and mean. 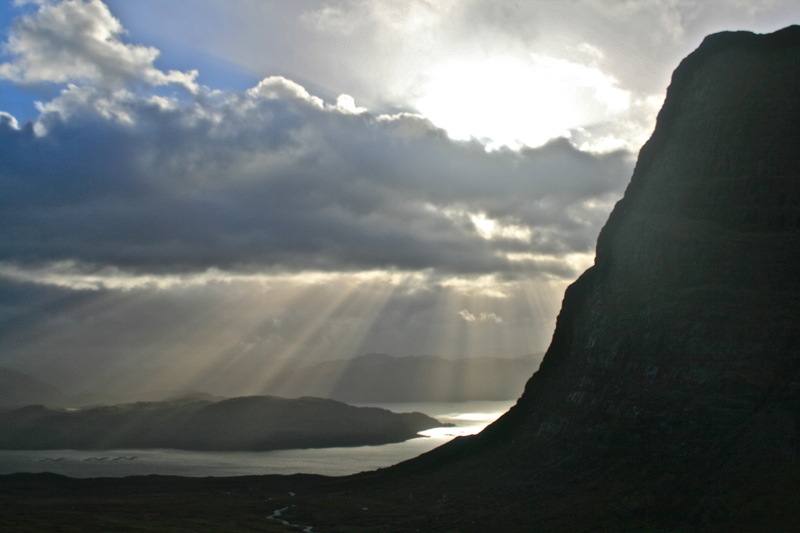 The Applecross population IS in decline,IS getting older,school roll IS in decline,PO hours ARE getting less,services ARE getting harder to maintain, far less improve, and me saying that we need 100 more people living here to keep this community viable in often met with 50 shades of horror, what would they do? where would they live? and the slightly dodgy view of would they be undesirable? whatever that means. 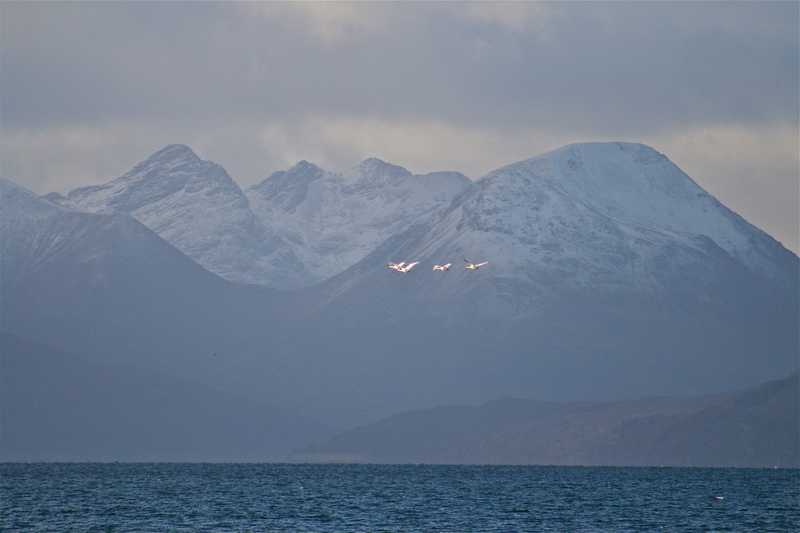 I look around Applecross and see people not “incomers” just people who are prepared to live here and take part in this community. After all I suspect that if we went back far enough everyone “came in”, it is just not an issue. The issue is we need more and all that would do is to sustain numbers not create the implied imbalance that people use in their arguments against this as an aim. This does appear very negative but there is no point in “ochoning”,saying it’s not the way it used to be and putting our heads in the sand. The question of what people would do is answered with the fact that there is almost 100% employment here all be it not in some people’s chosen field of work. There are many basic trades that are missing and many of the new opportunities will now become available if our broadband plans come to fruition. Watch this space. I think that is the essence of the Community Company , to create the structure that allows people to prosper in a sustainable way within the area. The trick is combining “old wisdom” and new technologies in a way that is sustainable and does little disruption to the environment. Proof reading, making ice cream, having a hen care home is a classic example of this. It also means that a house my grandfather, my dad, and I lived in is still “alive” and guys that want to live here and contribute to the community can. The only way that happened was me not selling to the highest bidder and again to me that is worth far more than a few quid. Doing that on a community level is going to be far trickier and needs a mindset change but maybe …… This has all got a bit serious so back to the beauty of living here. 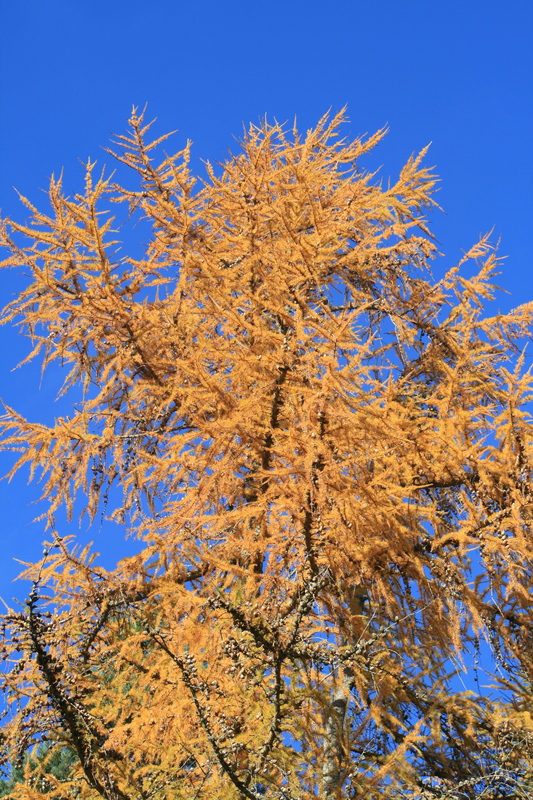 Yesterday while taking Dougal and family up the Glen the larch plantation was looking so bright after the rare summer we had. 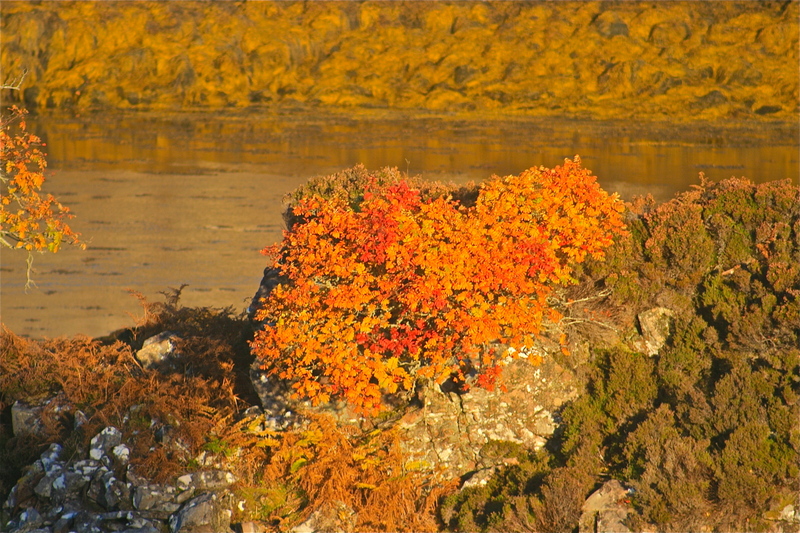 And a couple of weeks ago on the way home this rowan,growing almost on a rock, caught my eye in the evening sun at Ardhu. For those following the competition, Pakistan arrived last night .